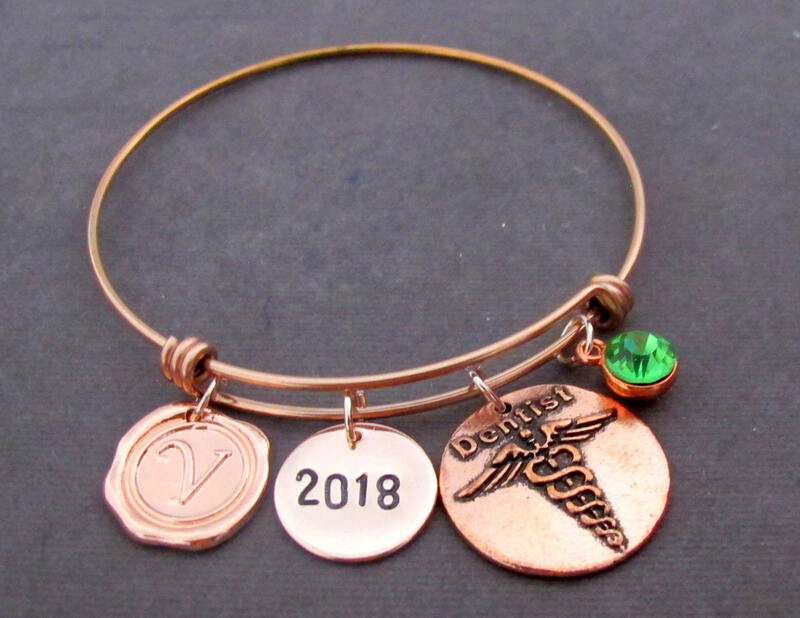 A unique Rose Gold Plated Dentist Bangle Bracelet with Birthstone, Initial and Year of Graduation. A dental theme bracelet perfect gift for dental graduates, Dentists, Assistant Dentist, Dental Surgeon. Please Mention the Birthstone at the time of placing the order. Thank You!